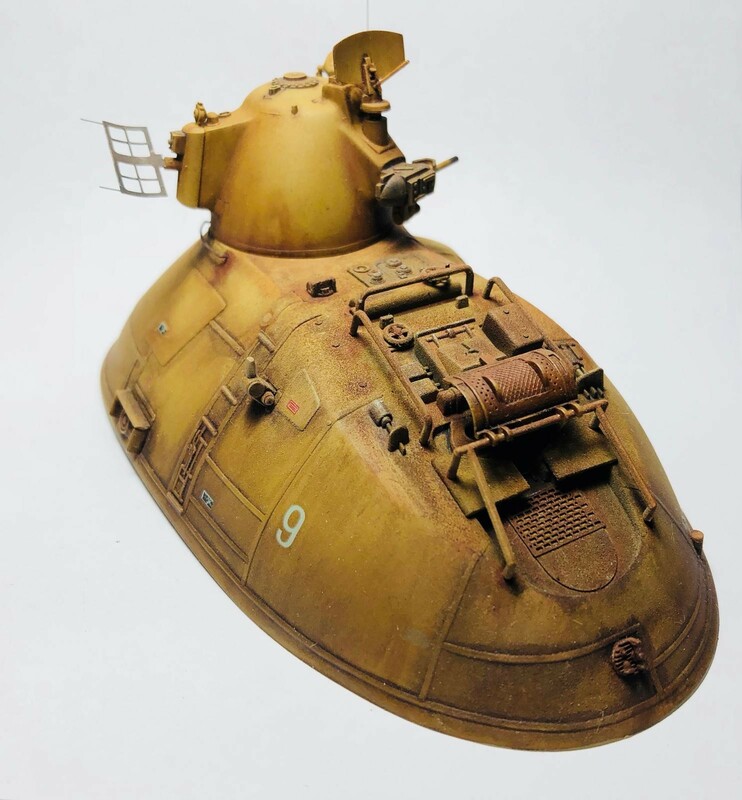 MA.K hover tank in 1/76 scale. These are fun kits to build and weather. Added some photo etch, brass rod, wire, and styrene from the spares box. This was my first time using the MIG Ammo line of paints and weathering colors. 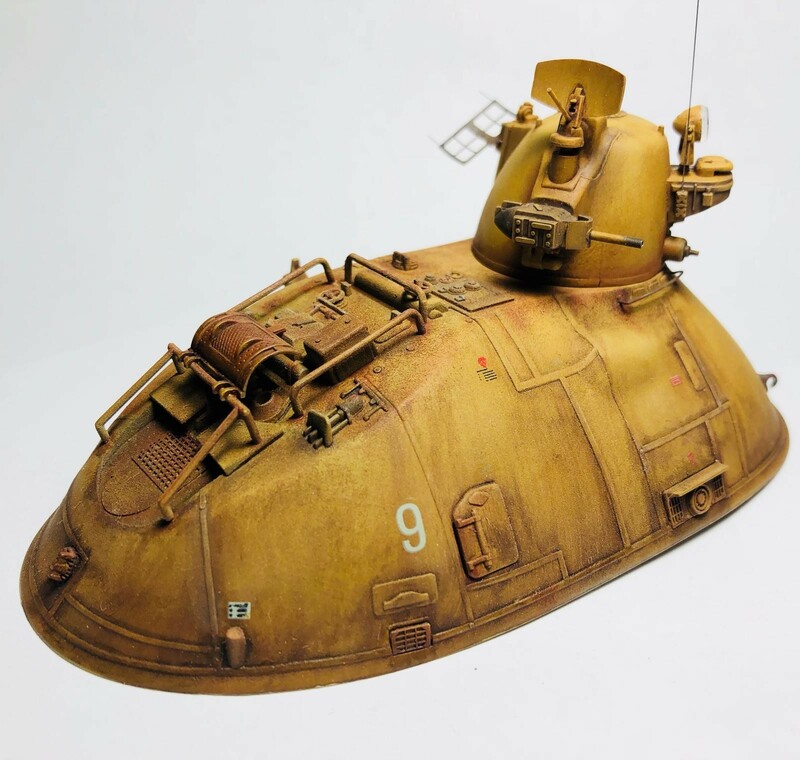 Nice work Christopher its good to see these Ma.K kits making an appearance. I agree. 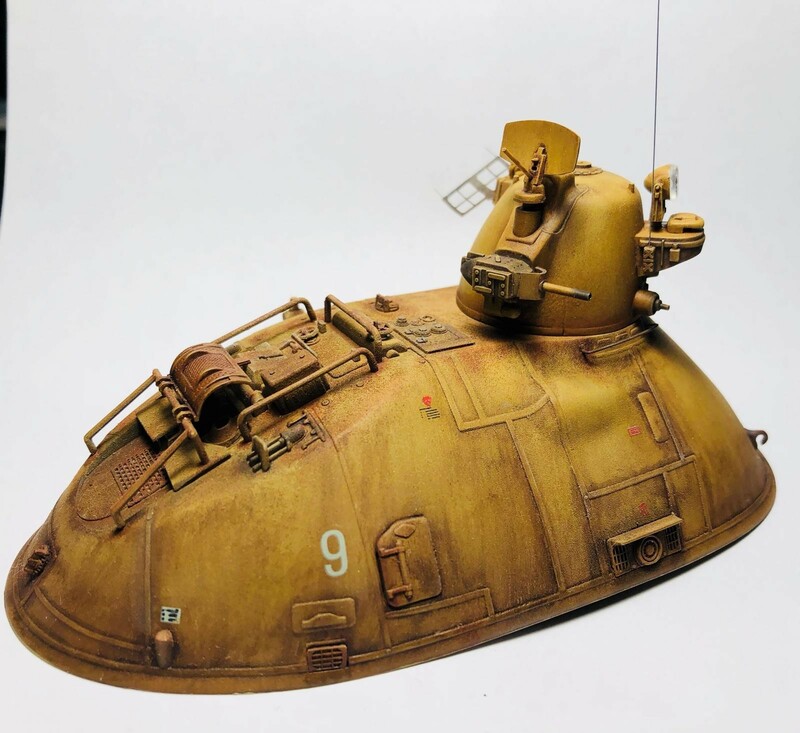 The Ma.K subjects are unusual. I did think, though, that all were 1/20. Anyway, good job. Thanks. You are correct, most are 1/20 scale. Some of the larger subjects are odd scales. 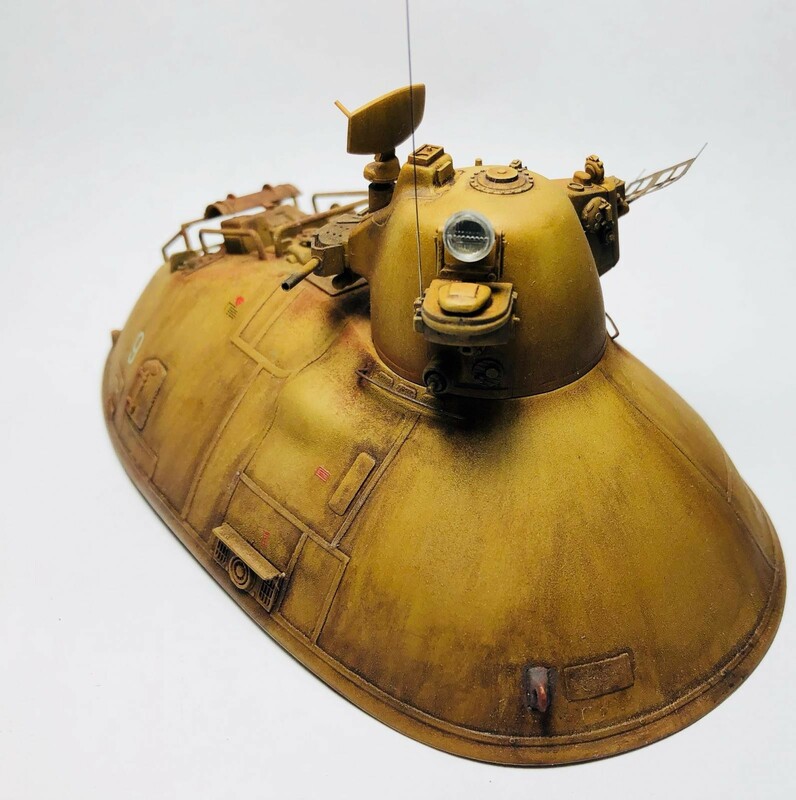 This particular piece would be huge in 1/20 although there is a version available in 1/35. I’m not too sure what it is, but it looks good! Nice work Christopher. 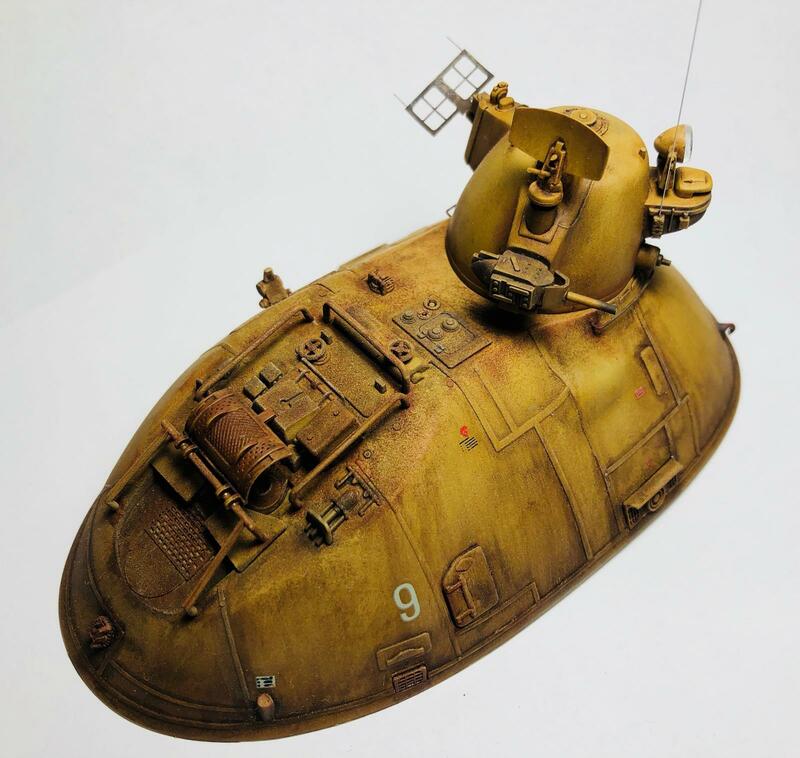 I did an MAK kit years ago, but I didn’t have the weathering/finishing skills and materials I do now. You did a great job. I’m considering breaking out the old kit and refinishing it.